From time to time, as we browse the internet, we will come across a monument which really catches our attention. Typically, these monuments will be large sculptures or something that has really never been done before. However, when I came across the monument below, it really tickled me. How creative is it? Really, it’s a very simple idea. There was a hole cut in a flush marker to place a vase, but the vase was not in stock at the time the flush marker was installed. 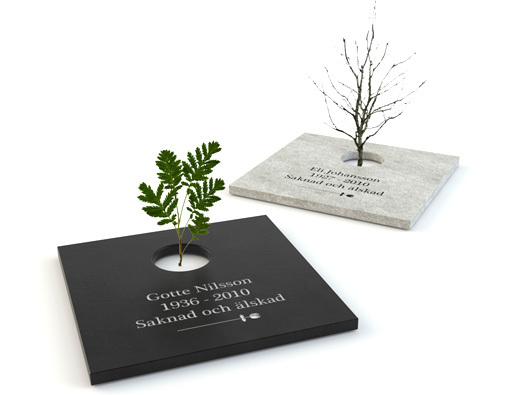 When the family next visited the cemetery, they noticed that a small tree was growing out of the vase hole and decided to leave it be and not add the vase. The monument company who had installed the flush marker thought that this was really something nice and began offering these monuments to others.